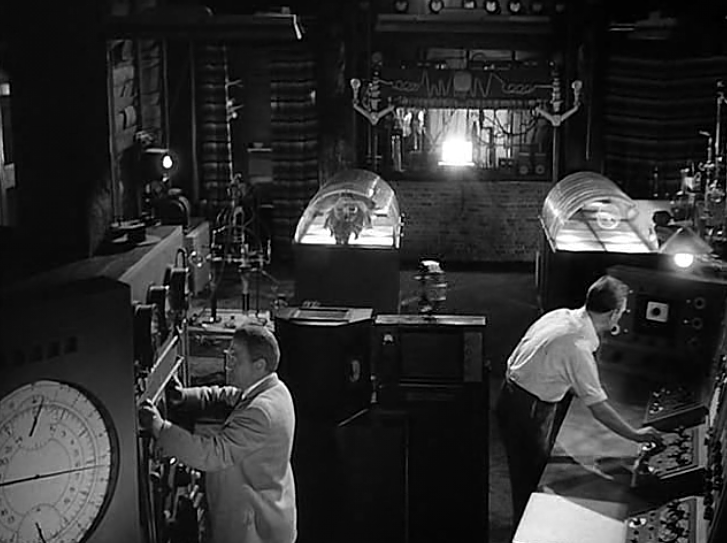 Saturday Afternoon: Men Doing Science Again….!!! 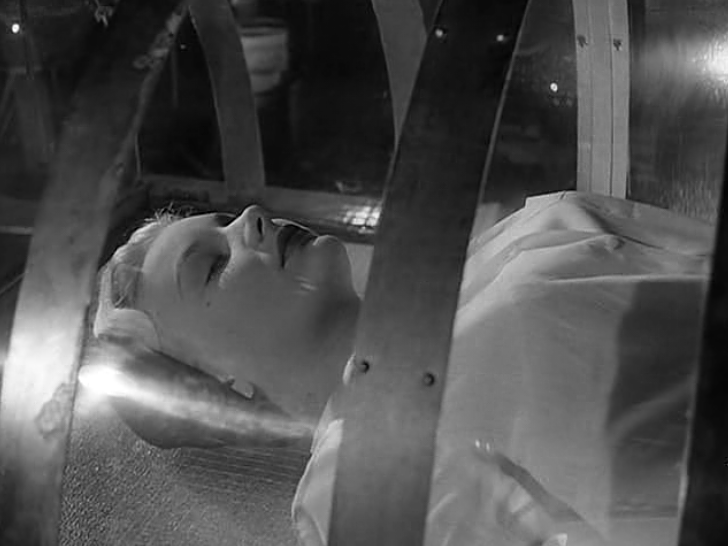 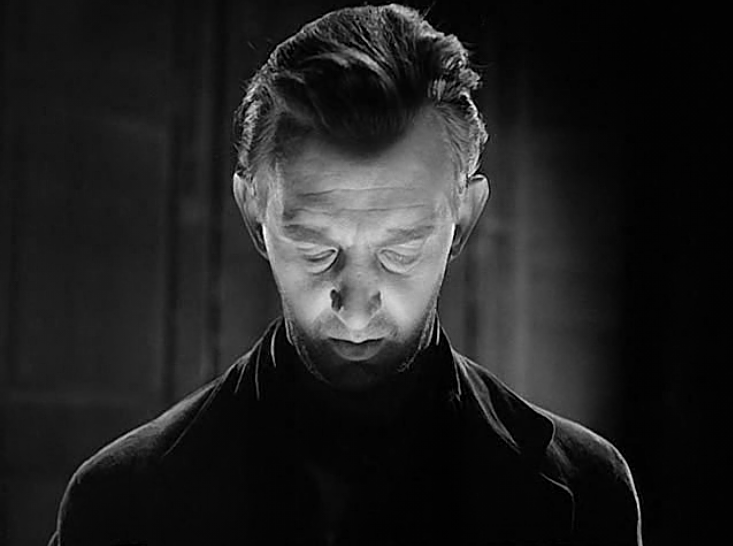 Based on the novel by William Temple and adapted to the screen and directed by Terence Fisher, this intriguing, thought provoking British sci-fi melodrama invokes the question of creation, playing god, obsession and fate. 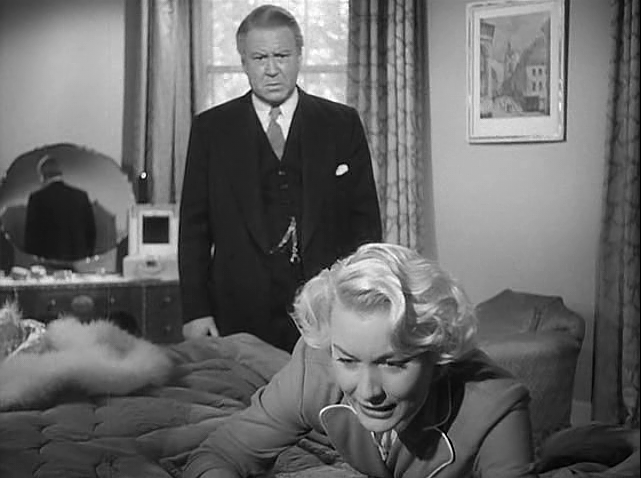 Barbara Payton (Bad Blonde 1953) plays both Lena and Helen a beautiful women caught between two friends who have adored her since they were children. 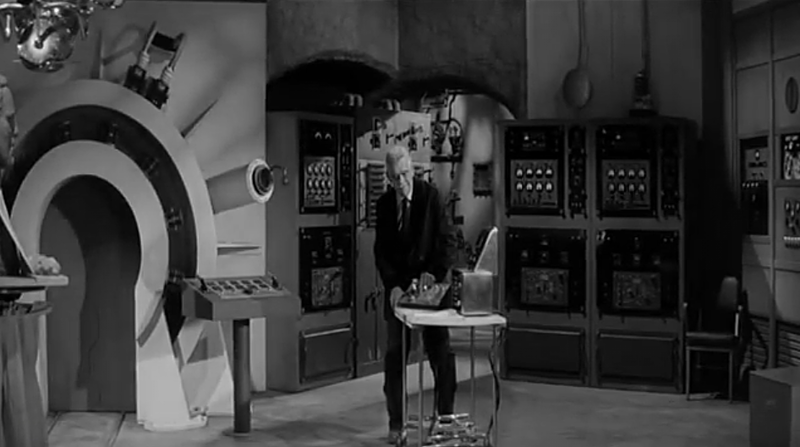 The brilliant Bill (Stephen Murray) invents a duplication machine, and has pined for Lena since he and Bill used to vie for her affections playing knights with wooden swords. 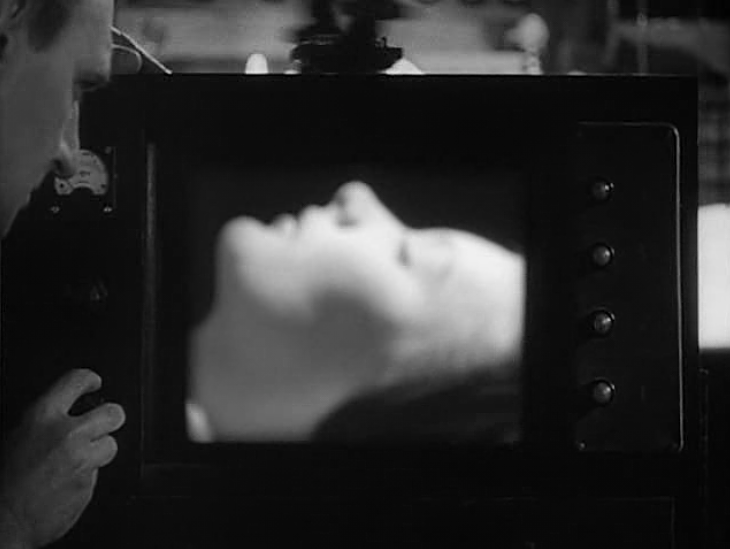 But Lena has always been in love with Robin (John Van Eyssen) the other friend that make up the love triangle. 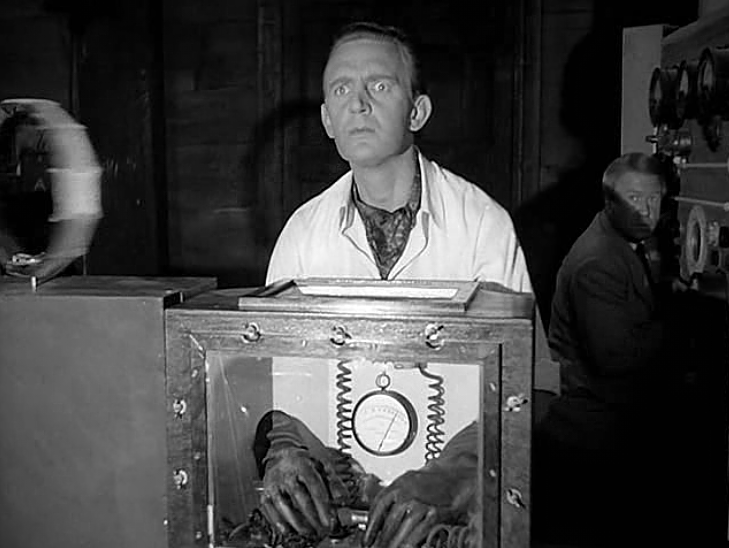 When Lena and Robin get married, Bill asks Lena to allow him to reproduce her in his contraption so he can possess her too. 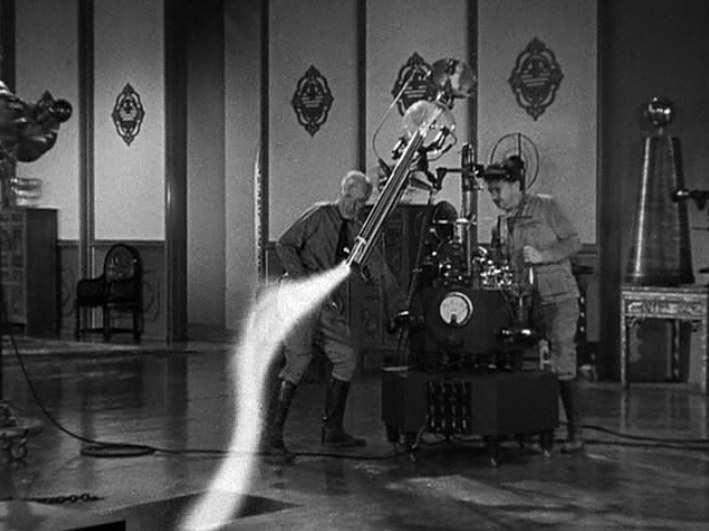 And Lena agrees… the results are disastrous. 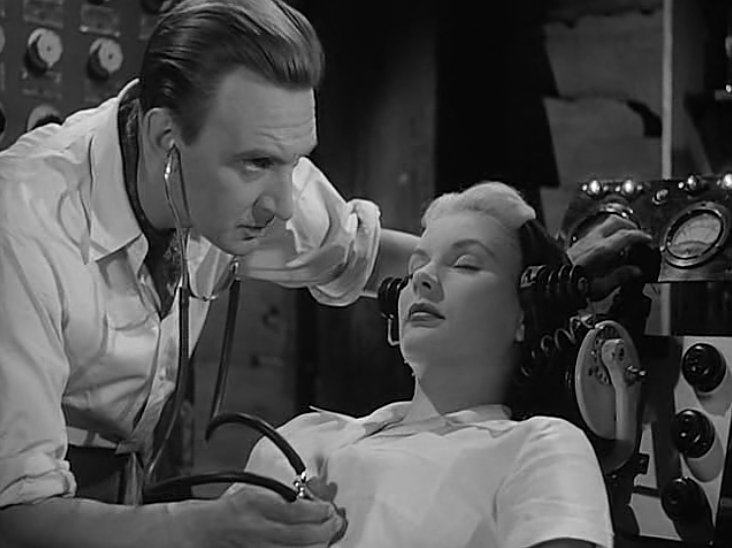 Co-starring James Hayter as the sympathetic Dr. Harvey. 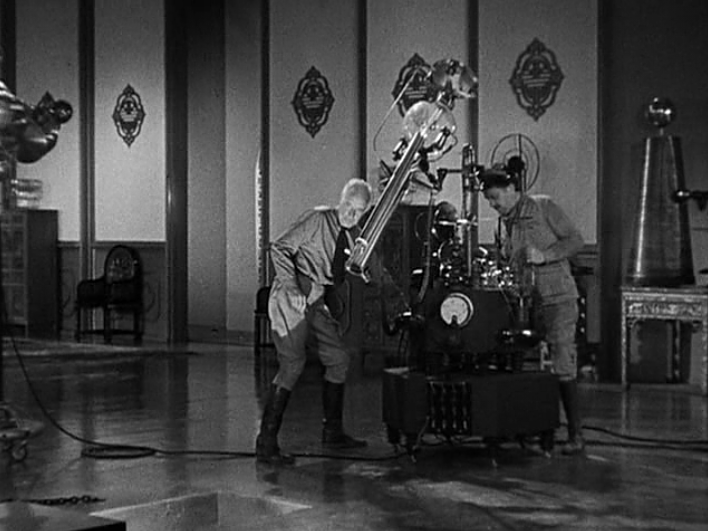 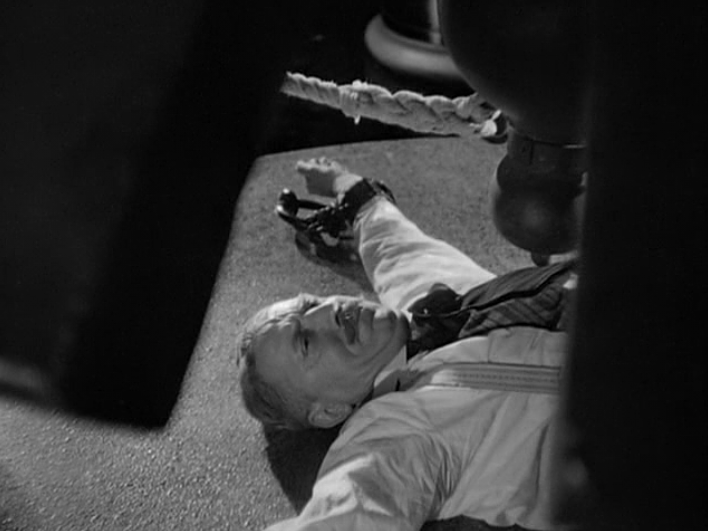 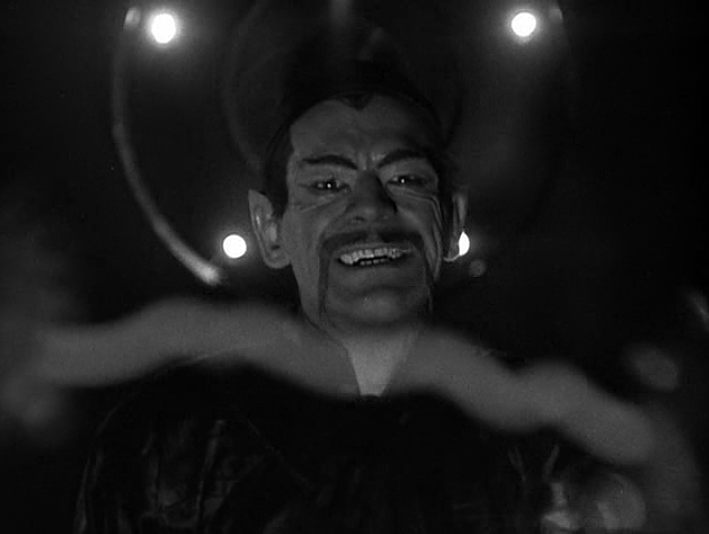 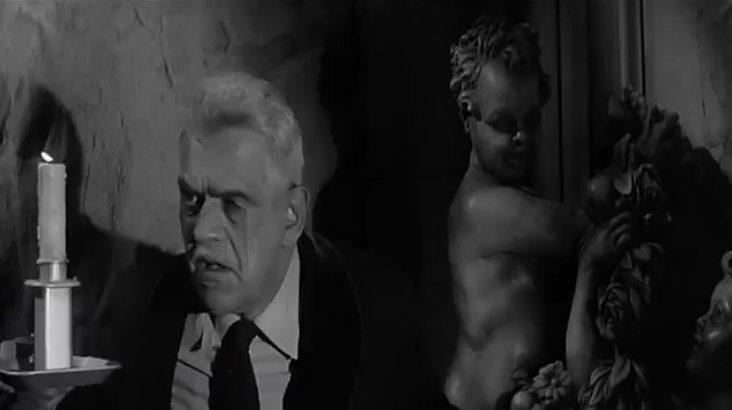 As always Karloff’s presence makes any film a joy to watch. 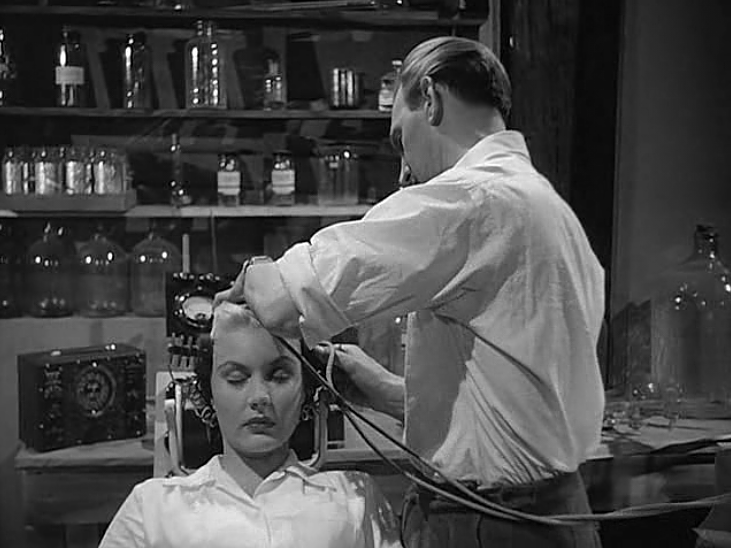 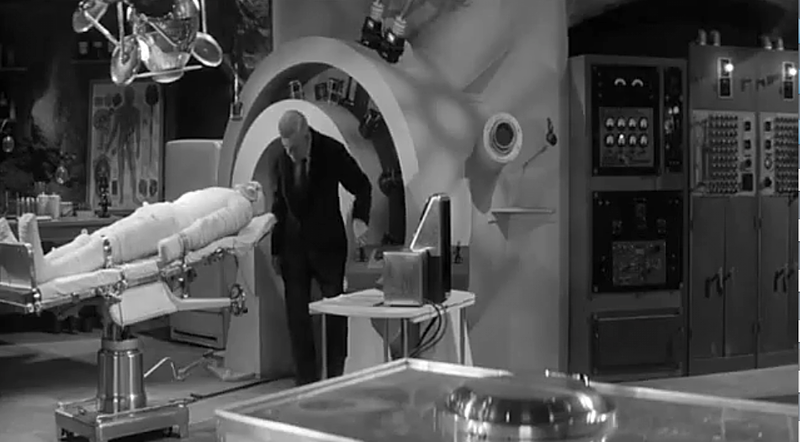 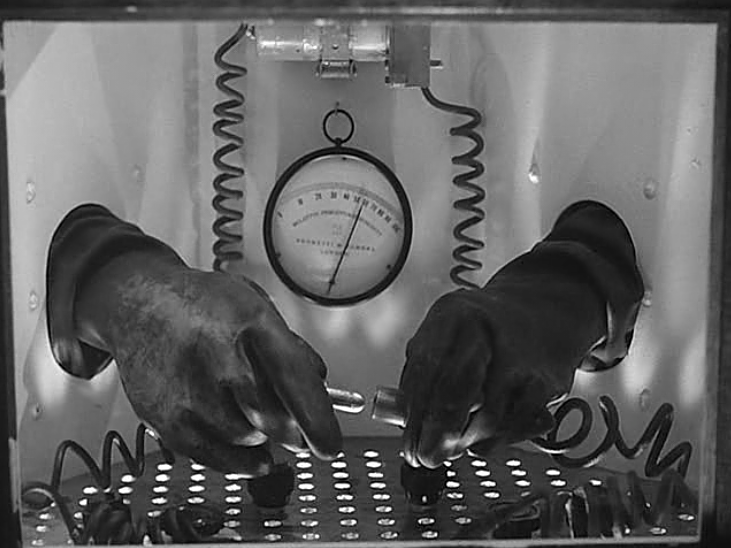 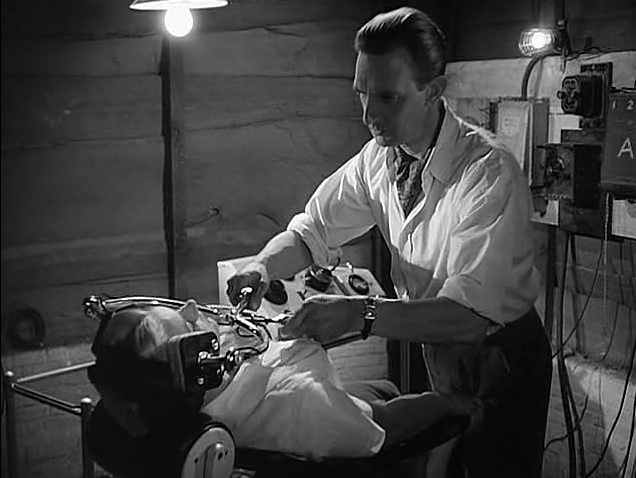 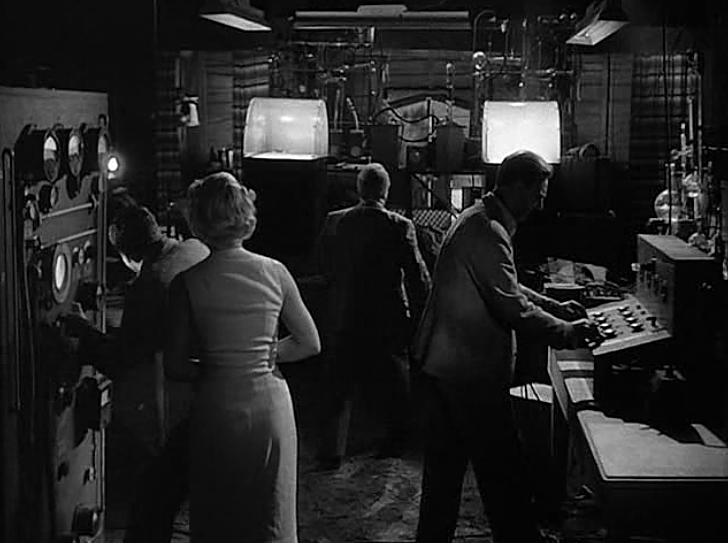 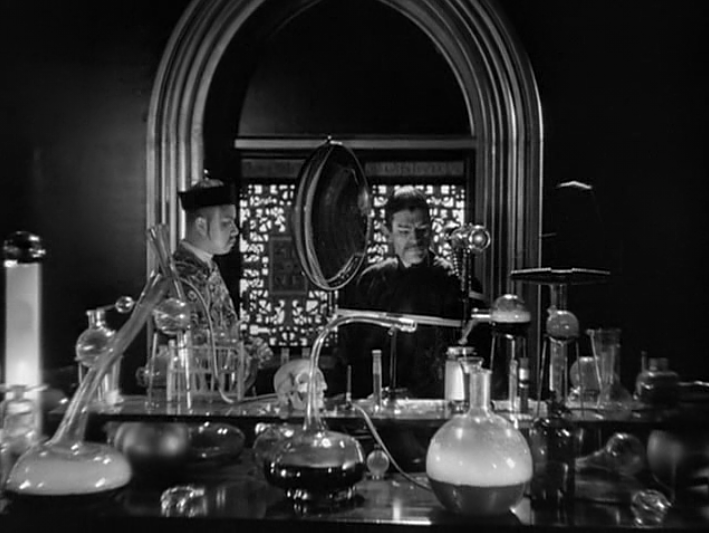 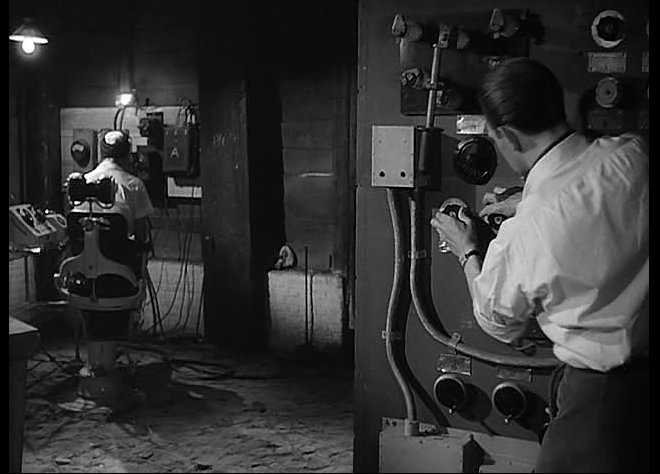 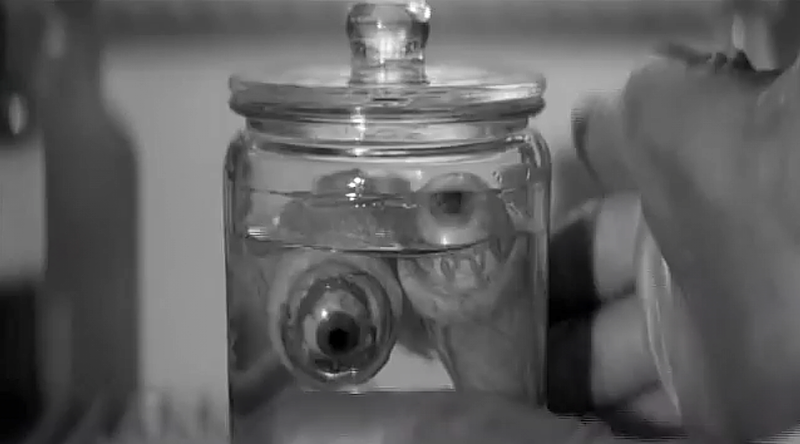 He always took his acting seriously and it shows here, which makes this odd little modernity meets old mad science horror flick with some interesting set design and chilling moments worth watching. 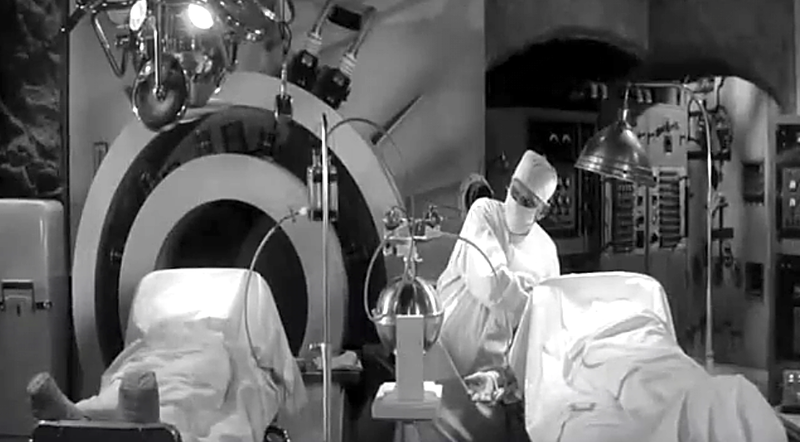 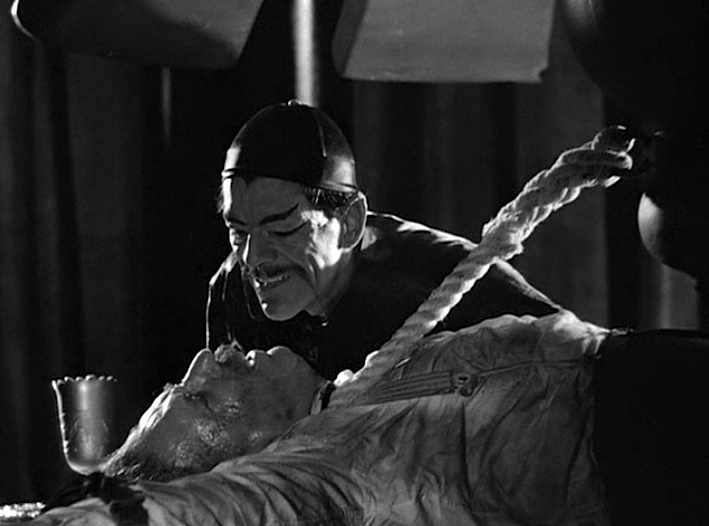 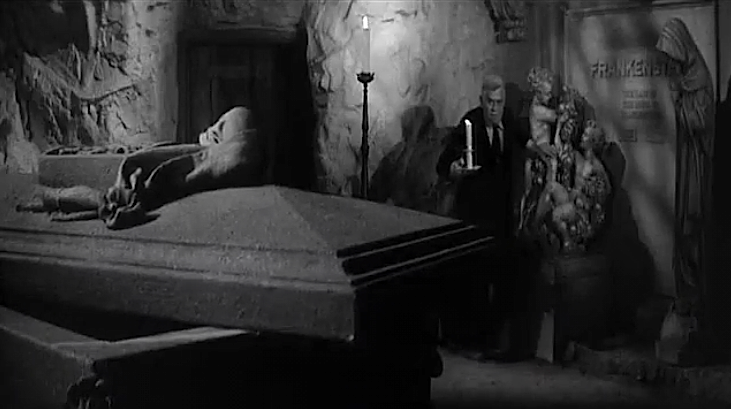 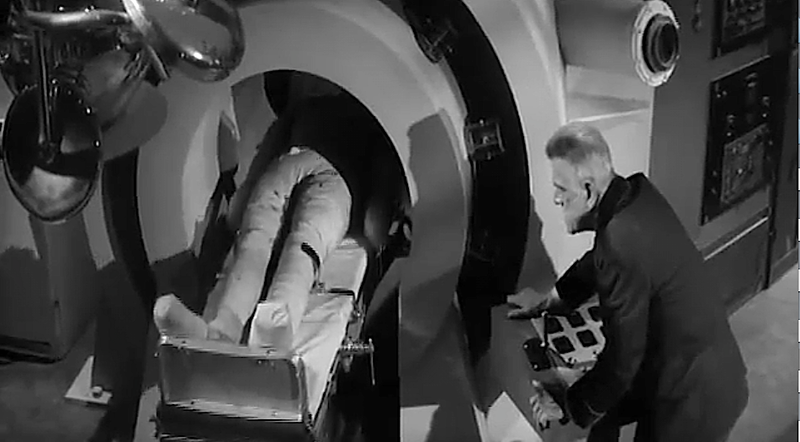 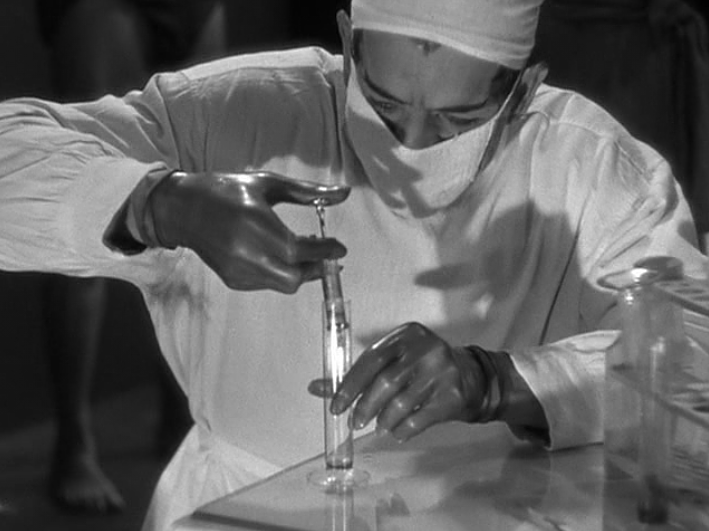 Karloff plays the last of the line of Frankensteins who desperately needs money in order to continue his arcane experiments on the reanimation of the monster, he has hidden beneath the family crypt in the Castle. 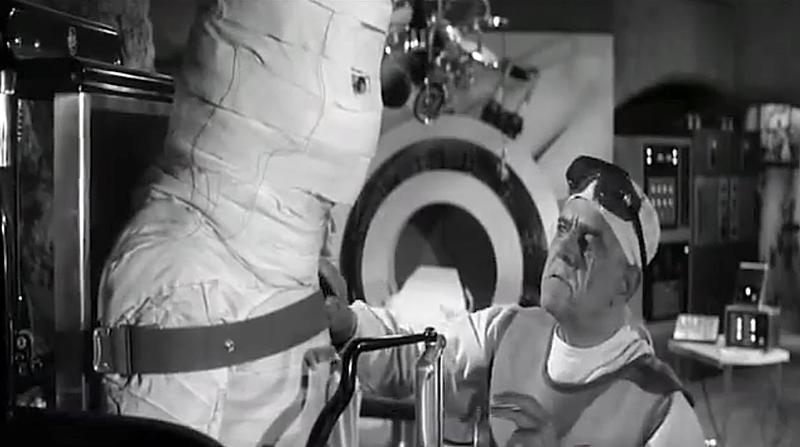 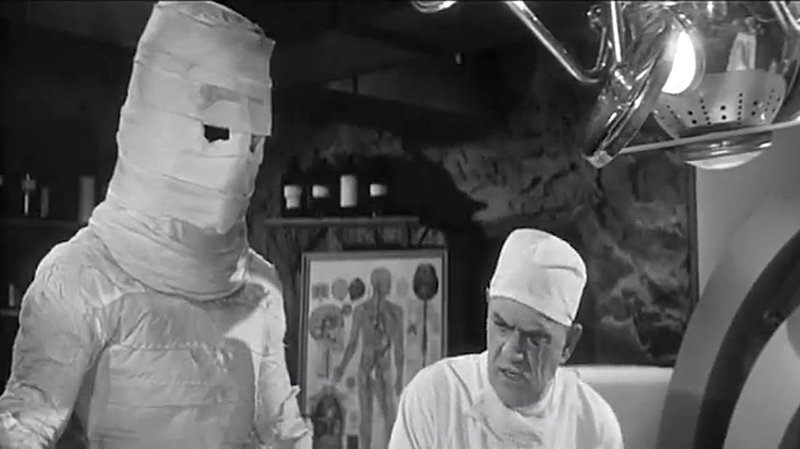 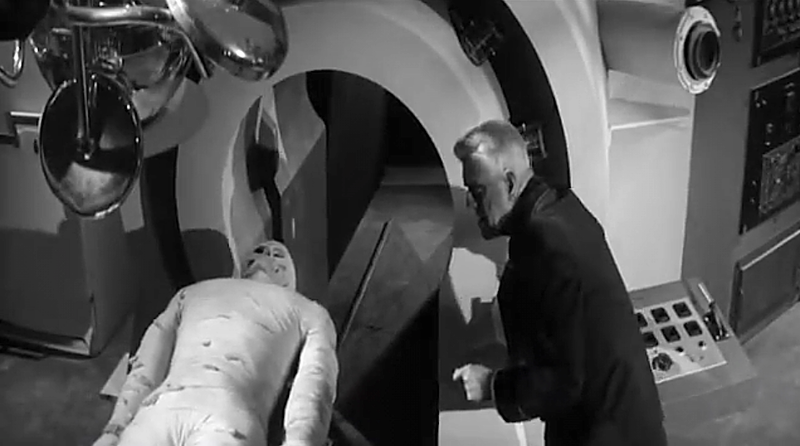 The monster is kept bandaged through out the film, (saves on make-up) and becomes a lumbering bandaged plaster of Paris block head with two hollow holes for eyes. 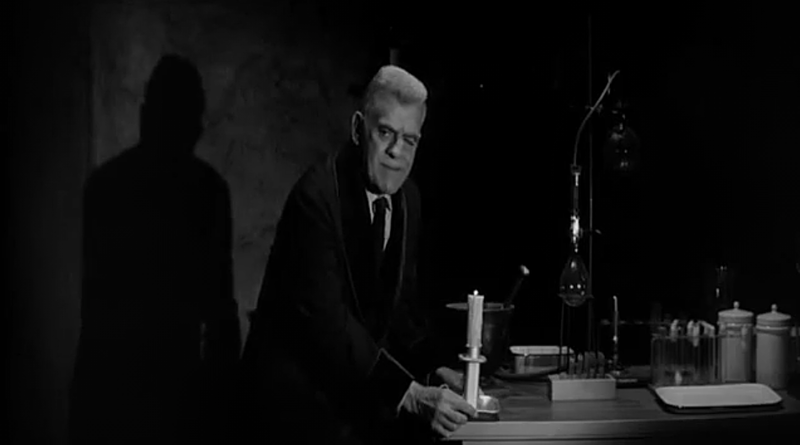 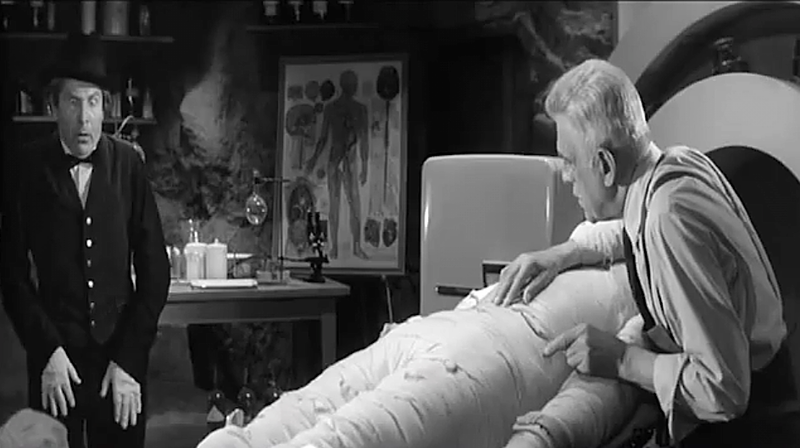 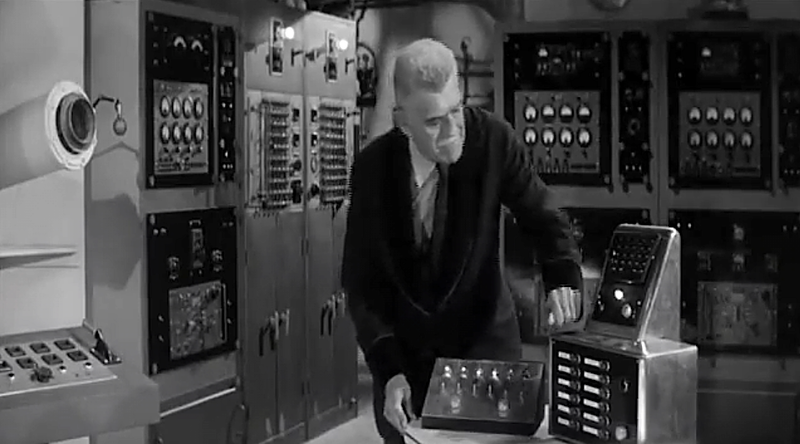 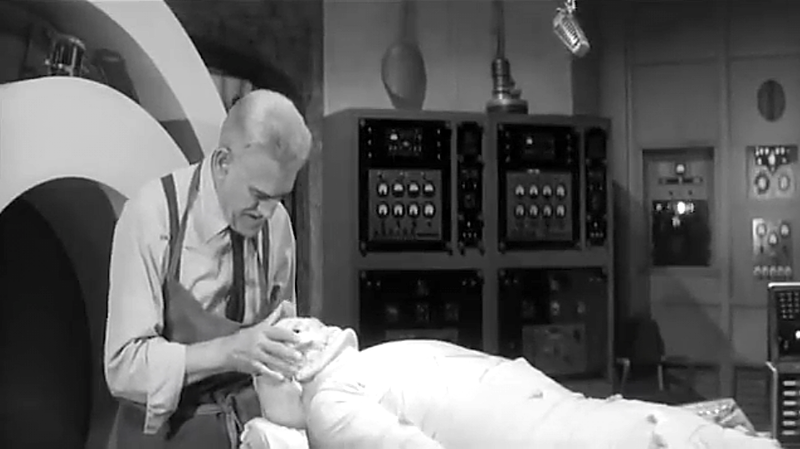 Is it effective or defective… well, I focused on Boris Karloff most of the time. 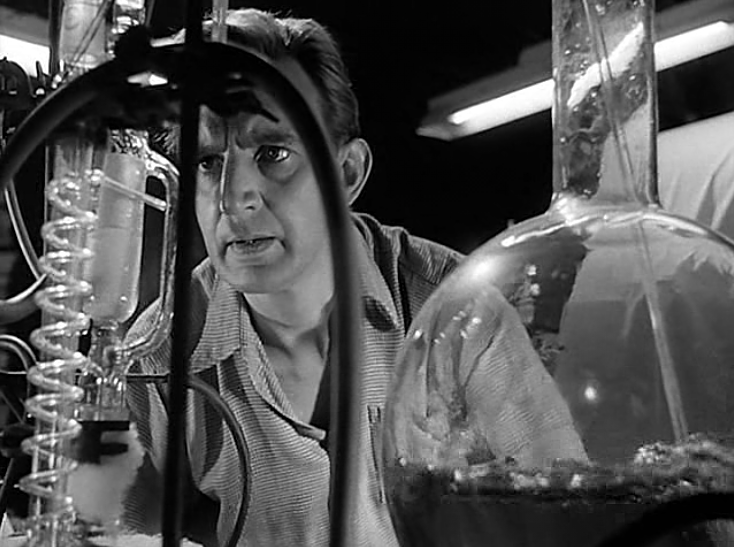 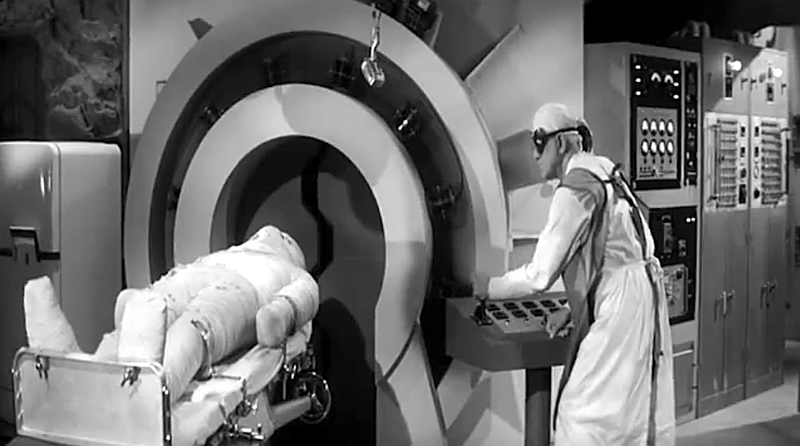 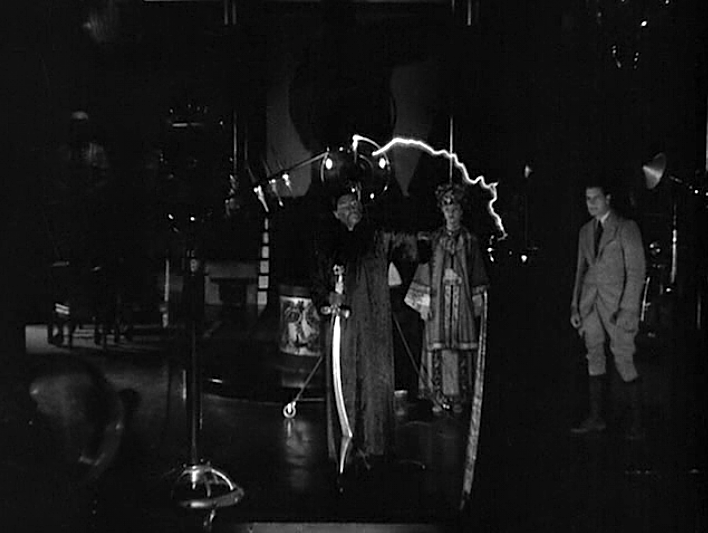 Frankenstein is now using atomic energy to resurrect his ancestors creation (the lab is actually very groovy Strickfaden would approve), but needs a few more things, like an atomic reactor, brains, eyeballs etc. 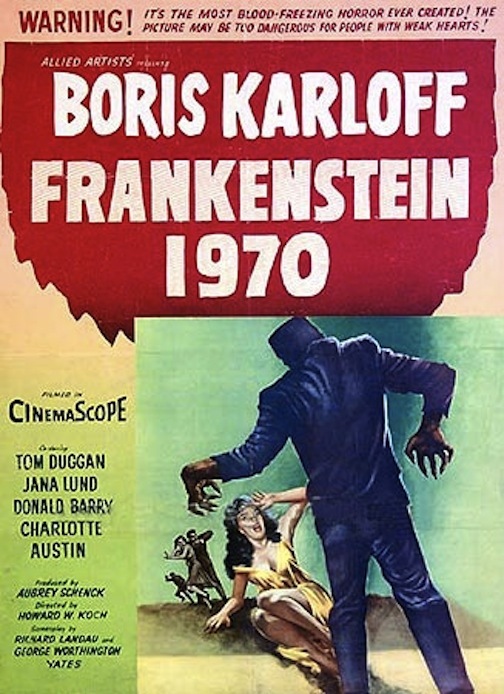 Baron Von Frankenstein whose face is badly scarred from the Nazi’s who tortured when he refused to experiment on their victims, allows a film maker and his crew to shoot their low budget horror picture on the grounds, finds their presence an immortal intrusion but he is broke and must put up with the nuisance. 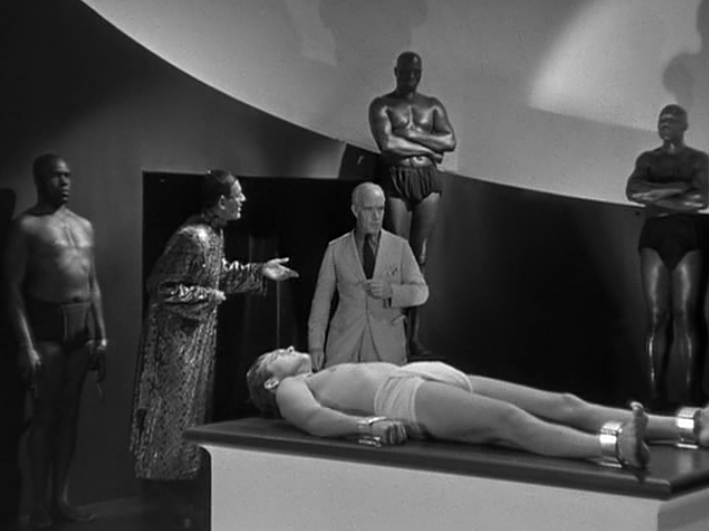 Directed by Charles Brabin and an uncredited Charles Vidor they offer this highly stylized horror/sci-fi-/fantasy hybrid from the 30s! 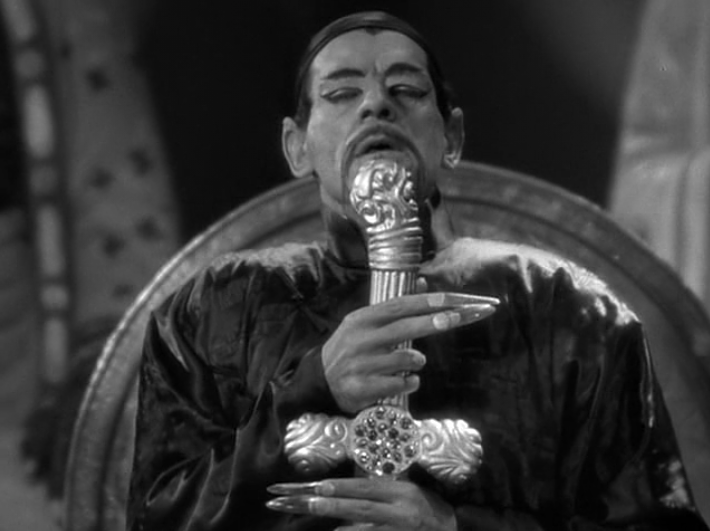 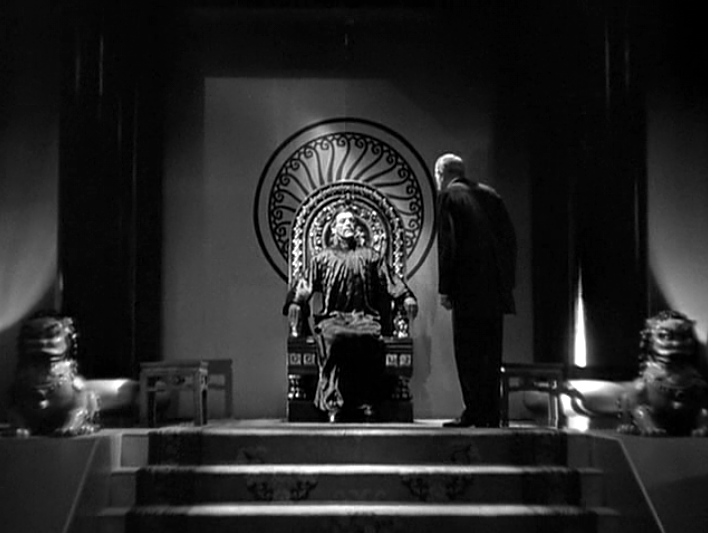 Boris Karloff is the diabolical genius Fu Manchu who only wishes to conquer the world with the help of his beautiful but equally nefarious daughter Fah Lo See played by the exquisite Myrna Loy. 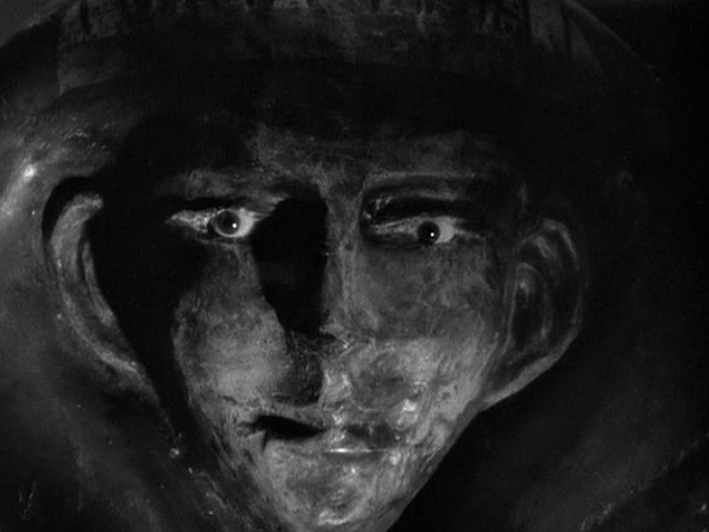 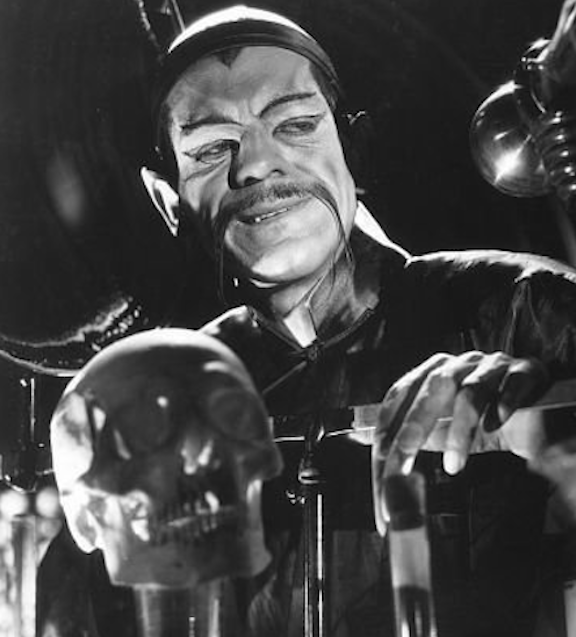 Sir Nayland Smith of the British Secret Service played by Lewis Stone rushes to the Gobi Desert to find the mysterious mask and sword of Genghis Khan. 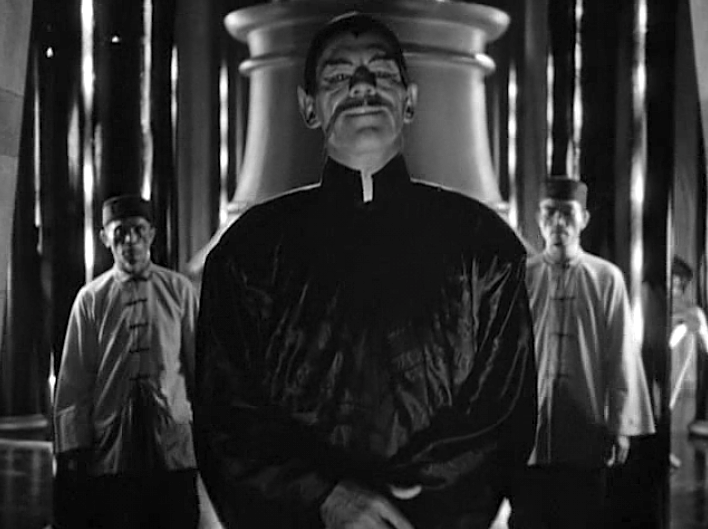 He must get there before Fu Manchu possesses it’s power. 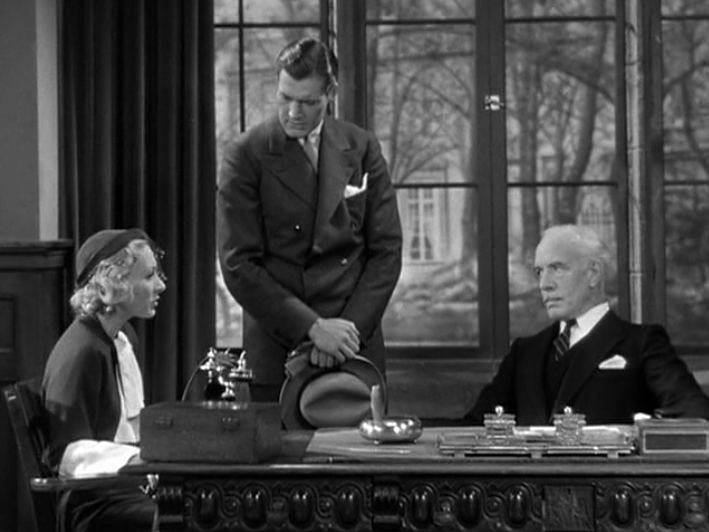 Mean Sir Lionel’s daughter Sheila (Karen Morely) Sir Nayland Smith, Terrence Granville (Charles Starrett) and Von Berg (Jean Hersholt) set out to uncover the whereabouts of the relics before the evil menace can use them in his diabolical plan to conquer the world! 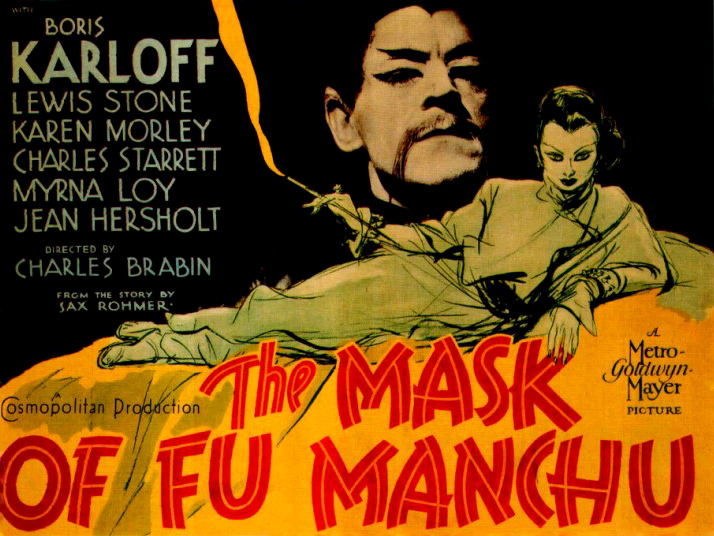 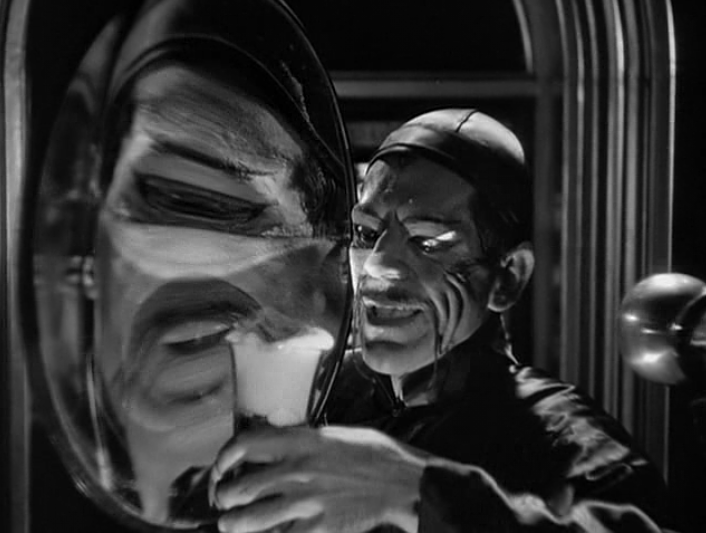 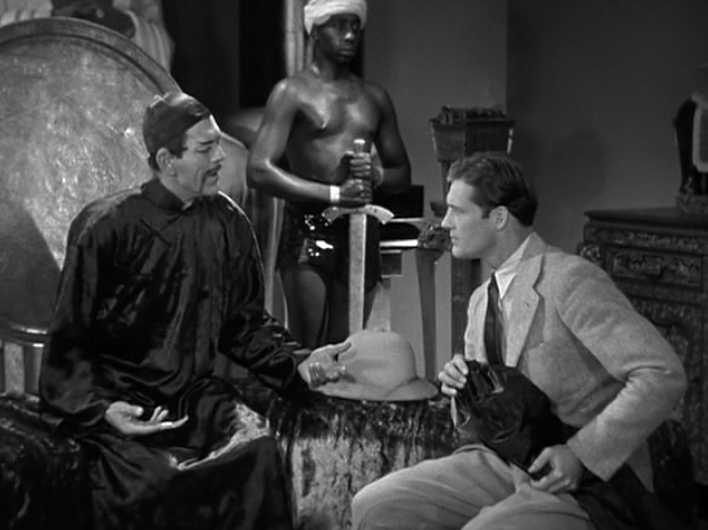 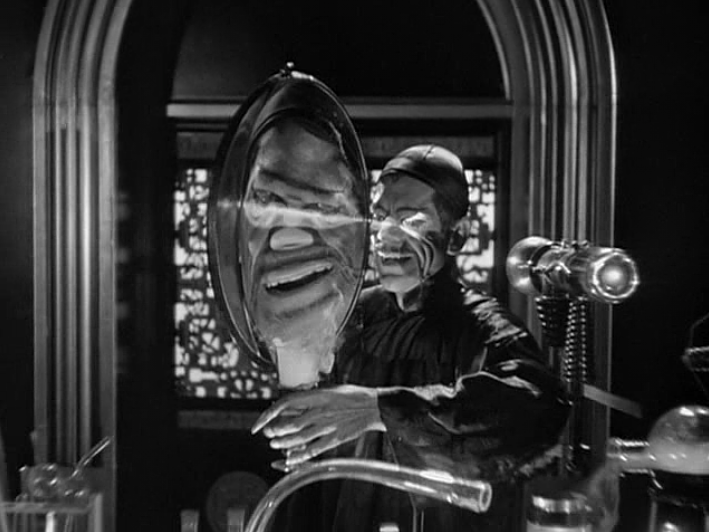 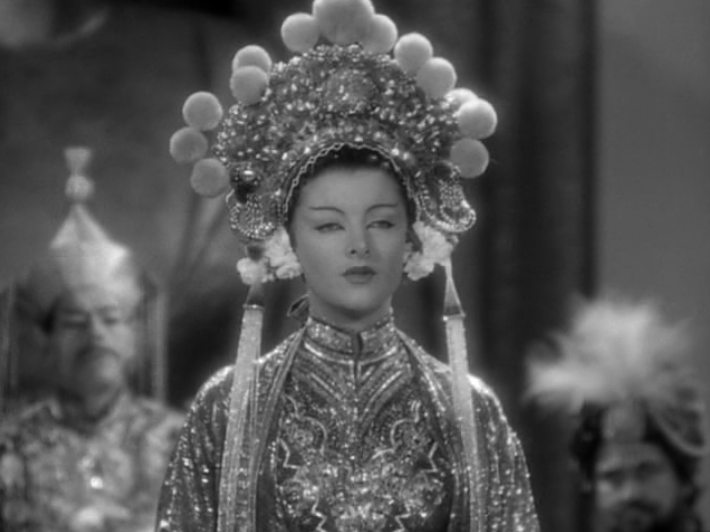 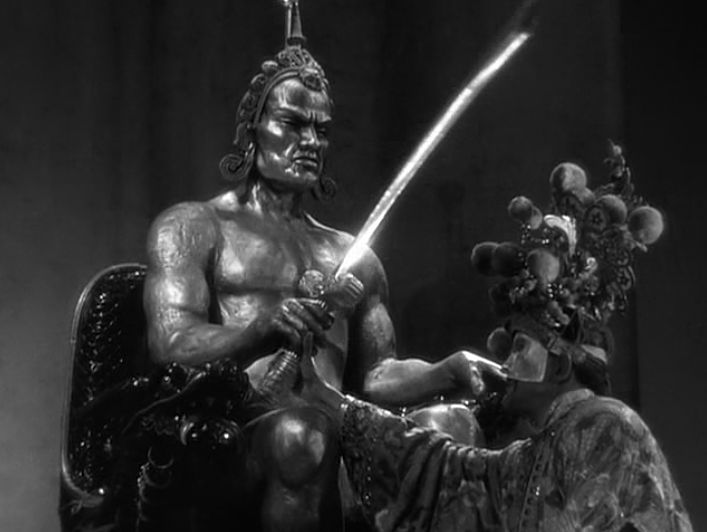 The Mask of Fu Manchu boasts the wonderful Kenneth Strickfaden designs!